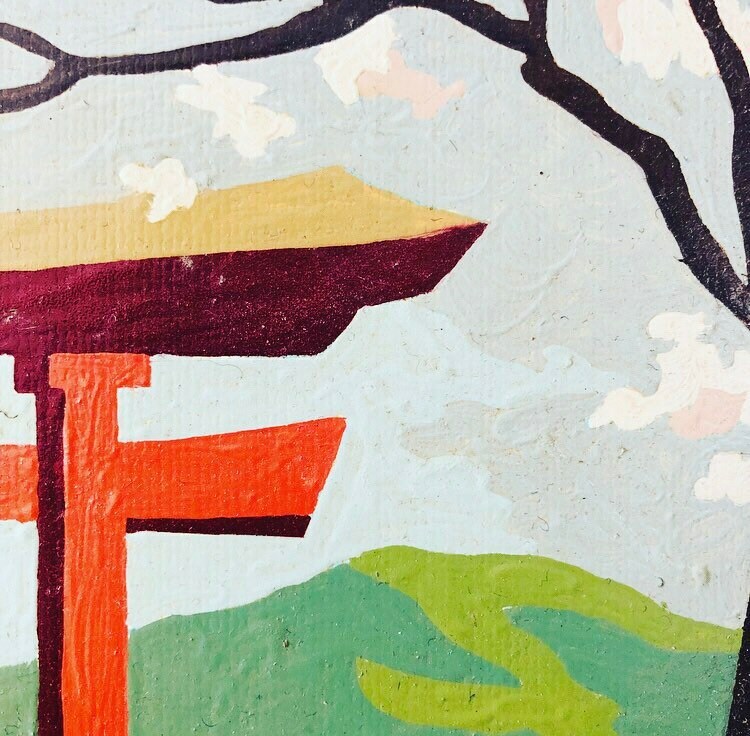 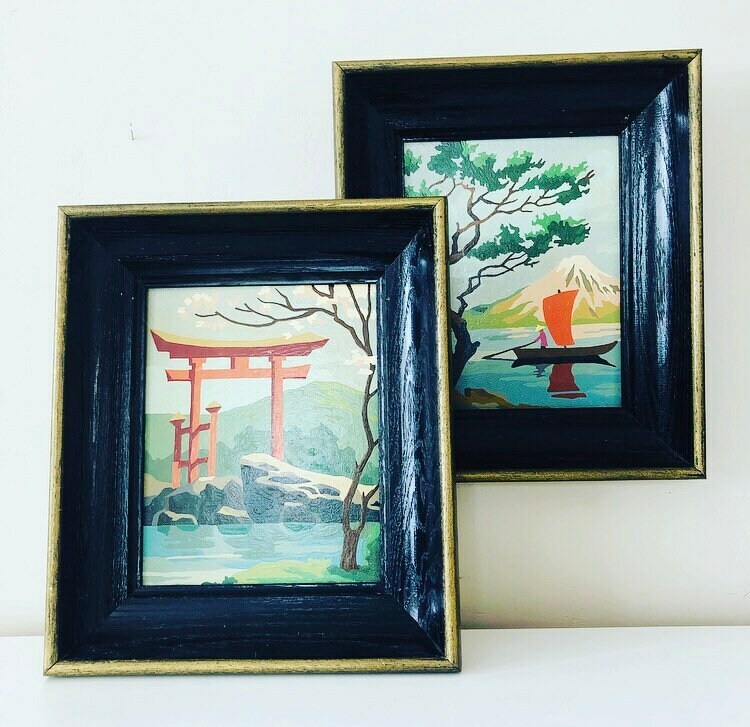 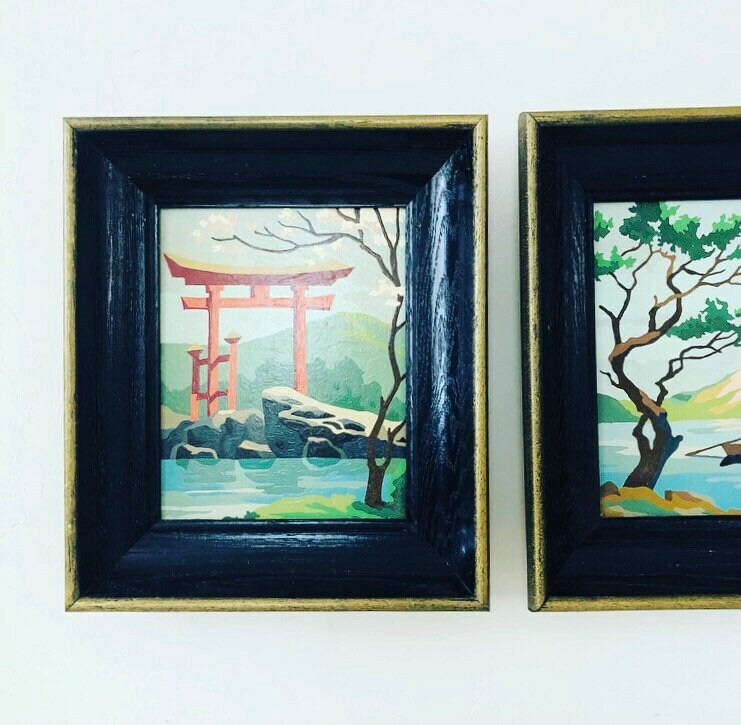 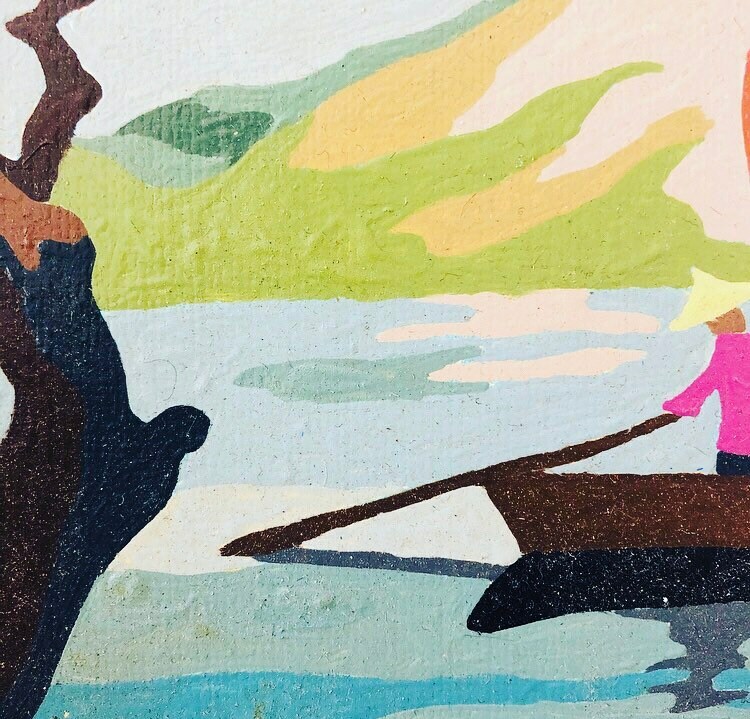 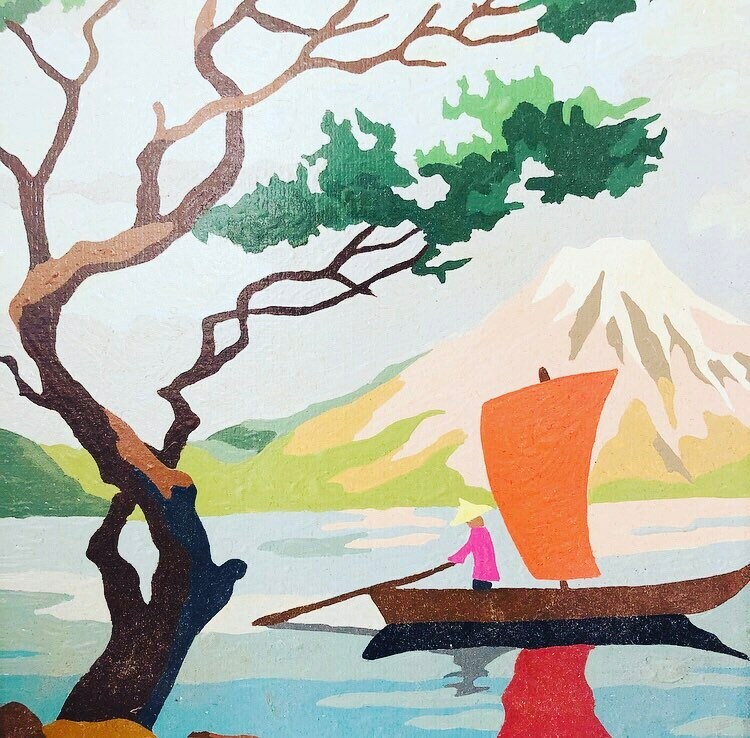 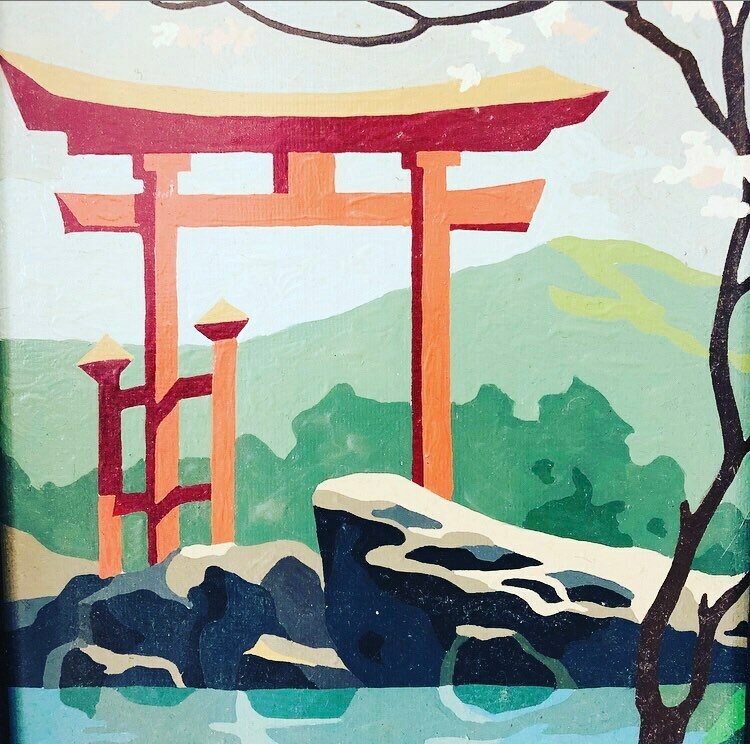 Set of (2) vintage framed acrylic paint by number wall hanging depicting Asian landscape scenes with cherry tree, pagoda, boat, mountains + water in a variety of rich colors. 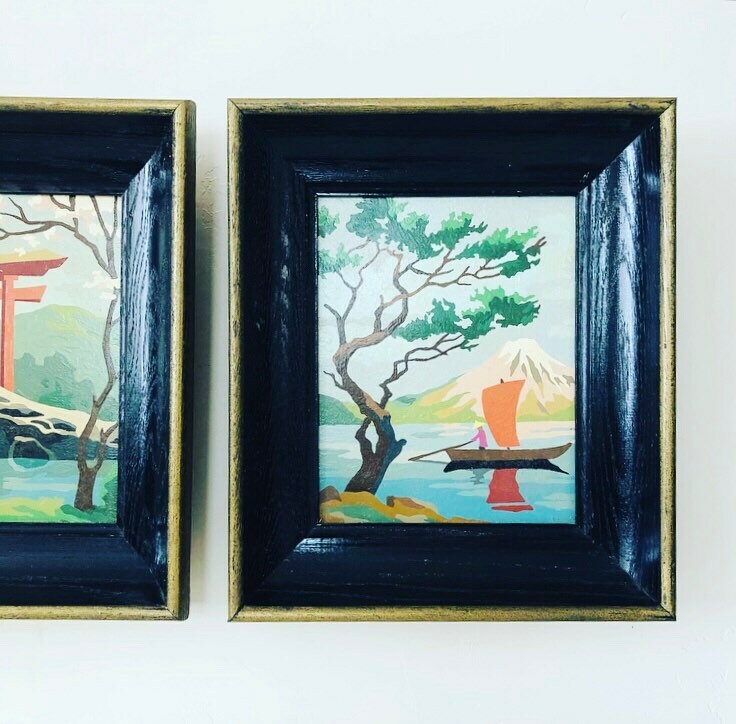 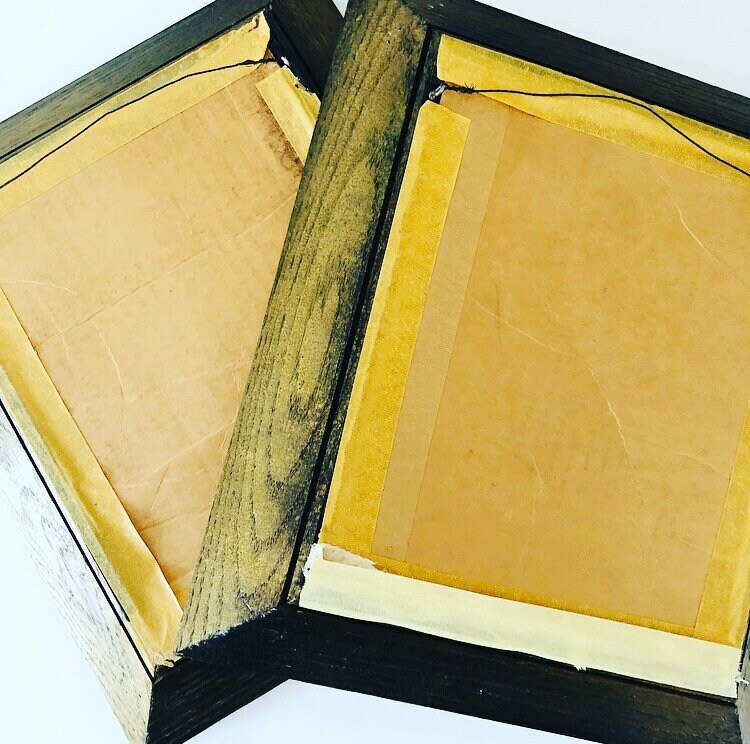 Sturdy black frames with gold trim. 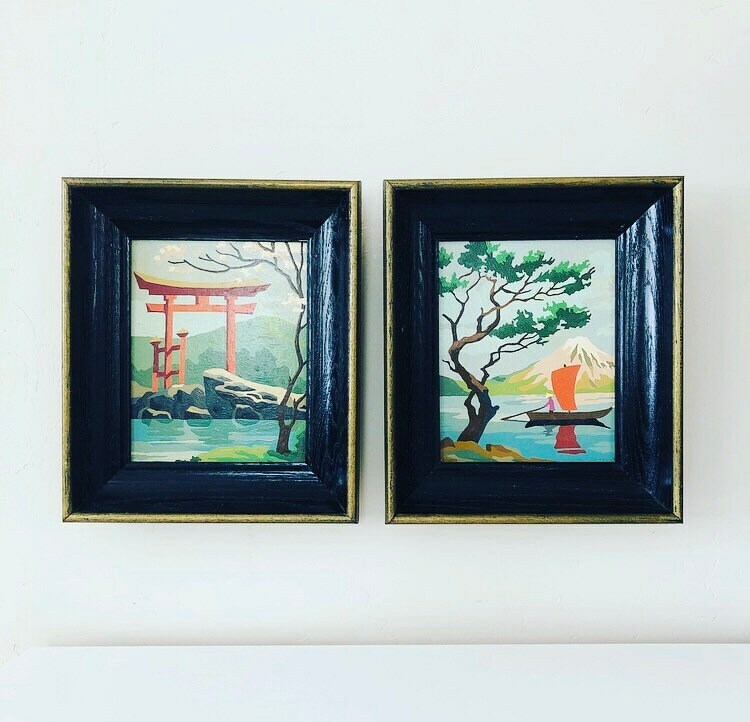 ➕MEASUREMENTS: each painting is 8" x 10"